Isa turns 20: what are the best cash Isa rates? Are cash Isas the best place for your money? Launched in April 1999, the Individual Savings Account (Isa) has its 20th anniversary coming up. How much have Isas helped us save and are they still worth using? Over the last 20 years, around £8.74 trillion (£8,740bn) has been put into Isas and an estimated £30bn has been saved in income tax alone, according to new data from Hargreaves Lansdown. Here we take a look at how cash Isas have performed over the last decade and pick out the best cash Isa rates. Cash Isas: where are they now? The savings landscape has been notably bleak over the past decade and the average rate of interest on cash Isa accounts alone fell by more than half. In January 2009, the average instant-access cash Isa rate was 2.56% AER compared with 0.94% AER in January 2019, according to Moneyfacts data. 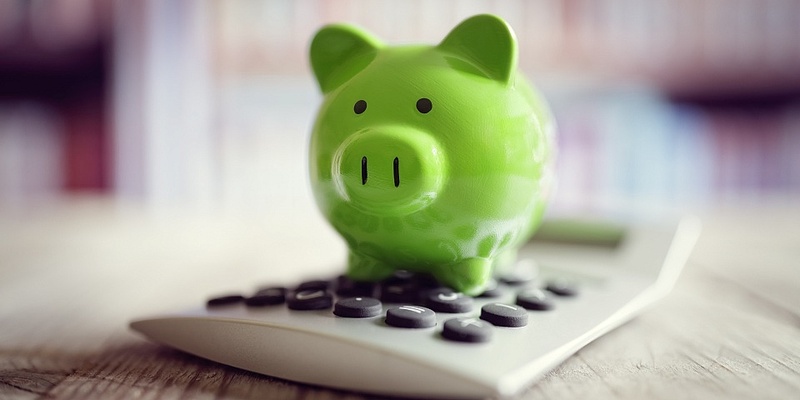 A similar trend was seen for one-year fixed-rate cash Isas too, where rates fell from an average of 3.43% AER in January 2009 to 1.35% AER in January 2019. Interest rates for instant-access cash Isas fell to their lowest level (0.61% AER) in July and August 2017. For one-year fixed-rate cash Isas, rates fell to their lowest (0.81% AER) in February and March 2017. Since this dip, however, rates appear to be recovering. The average interest rate offered by instant-access cash Isas is up 0.21 percentage points year-on-year from 0.73% AER in January 2018. Similarly, for one-year fixed-rate cash Isas, the average interest rate is up 0.27 percentage points on the same time last year when rates were 1.08% AER. The table below shows the average cash Isa rates for January in 2019, 2018 and 2009. Find out more: what is an Isa? How has inflation affected returns? Another factor impacting the returns gained from cash Isas is the Consumer Price Index rate of inflation (CPI). CPI inflation tracks the cost of an imaginary ‘shopping basket’ of over 400 goods and services including flights, fuel, meat and alcohol. It’s calculated monthly and indicates how the price of goods in the basket changes, by comparing how much it cost to buy those items in the previous year. If your savings aren’t in an account that matches or beats the rate of inflation, your cash loses value in real terms. This is because goods and services become more expensive and you won’t be able to buy as much with the same amount of money. In January 2009, inflation was 3%. This means cash held in instant-access Isa accounts at that time lost money in real terms, whereas one-year fixed-rate Isas beat inflation by 0.43%. The latest inflation figures revealed that inflation for December 2018 was 2.1%, which outpaces the average Isa rates for both types of account. The graph below shows how historic cash Isa rates have performed against inflation over the last decade. We’ve rounded up the five highest-paying instant-access cash Isa and fixed one-year Isa accounts that are available to new customers across the UK right now, and which don’t require you to already hold a financial product with the provider. Virgin Money offers table-topping rates with its Double Take E-Isa and Man Utd Double Take Cash E-Isa, which both offer 1.45% AER. Coming in third is Leeds Building Society’s Limited Issue Online Acces Isa, which offers 1.38% AER. You can compare hundreds of cash Isas to find the best one for you using Which? Money Compare. Cash Isa Provider AER Min Deposit Isa Transfers allowed? Shawbrook Bank’s one-year fixed rate cash Isa tops the table with 1.77% AER. This is closely followed by Charter Savings Banks’s one-year fixed rate cash Isa, which pays 1.75% AER and Cynergy Bank’s one-year fixed-rate cash Isa which pays 1.7%. Account Provider AER Min Deposit Isa Transfers allowed? Correct as of 2 April 2019. The rates in the table above were updated on 2 April 2019. If you’re thinking of locking your money up for longer than a year, we’ve rounded up the best Isa rates on offer over two, three, four and five years. The only account which beats inflation right now is the 5 Year Fixed Rate Cash Isa from Charter Savings Bank, which pays 2.26% AER. Sainbury’s Bank’s 4 Year Fixed Rate Cash Isa, which offers 1.8% AER, tops the table for four-year fixed-rate cash Isas, but it’s lower than the rates offered by Aldermore’s 2 Year Fixed Rate Isa (1.85% AER) and 3 Year Fixed Rate Cash Isa (1.95% AER). Account Provider Isa term AER Min Deposit Isa Transfers allowed? Should I lock my money away for better rates? Fixed-term accounts often offer better rates of interest than accounts that allow you to access your money freely. Your personal circumstances will dictate whether or not you should tie your money up for a better return on your savings. Below is a round-up of the three main types of cash Isa accounts and which types of saver they might suit. Instant-access cash Isas allow you to pay in and withdraw money at any time throughout the tax year. Some will allow you to pay in and withdraw any amount, while others will place limits on the amounts you can take out – or demand a minimum deposit. These types of Isas often come with variable rates of interest due to the flexibility that they offer you. This means that if interest rates rise, you could see the value of your savings rise too but if the opposite occurs, it could negatively affect your returns. Compare instant-access cash Isa rates. If you don’t mind putting your money away for a set period of time without having access to it, then a fixed-rate Isa might be worth considering. These types of accounts allow you to lock your money away – usually for a period of between one to five years – and offer higher rates of interest. Usually, the longer you tie your money up for, the better interest rate you’ll receive. Fixed-rate cash Isas don’t allow you to withdraw money at any time. If you want to access your cash at any point, you may have to face a penalty in the form of a fixed fee or a reduction in your interest rate. Regular savings cash Isas pay a fixed-rate over a set period of time – usually a year – on the basis that you make regular monthly savings contributions. This monthly deposit is limited to your savings allowance within the Isa, which in the 2018-19 tax year was £1,666 per month. This will remain unchanged in the 2019-20 tax year. Again, it’s likely that you won’t be able to withdraw any of your money from a regular savings cash Isa without incurring a penalty. Compare regular savings cash Isas. For more tips and advice, check out our guide on how to find the best savings account. You can compare hundreds of savings accounts to find out the best one for you using Which? Money Compare. Please note that the information in this article is for information purposes only and does not constitute advice. Please refer to the particular terms & conditions of the savings account provider before committing to any financial products.